Tokunation › TokuNation › Contests and Giveaways › Toku Toy Box 5th Anniversary WINNERS Revealed! 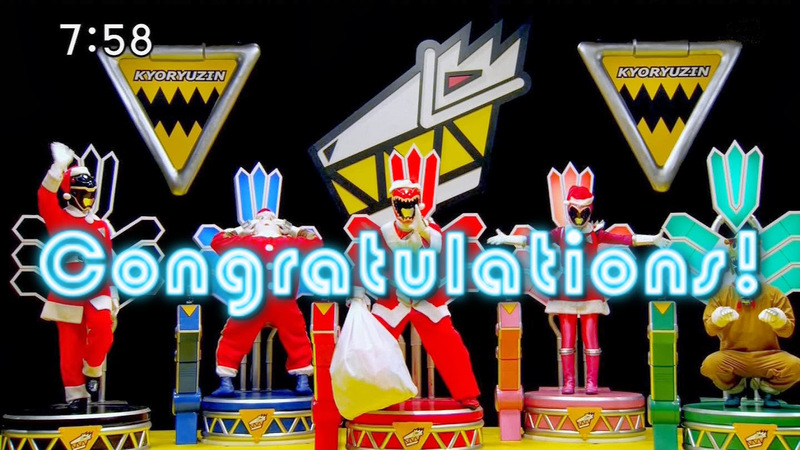 Toku Toy Box 5th Anniversary WINNERS Revealed! Phantom Stranger – Winner of the Power Rangers Prize Pack! Castellan Zilla – Winner of the Super Sentai Prize Pack! GoldenXtreme – WInner of the Kamen Rider Prize Pack! Shin Henshin – Winner of the Miscellaneous Toku Prize Pack! We are so grateful to every last person who participated this year. Every die hard veteran & every brand new user who joined just to participate. Without all of you this place simply wouldn’t be what it is. We’ve continued to grow and change these last 5 years thanks to all of you. It’s our goal to provide you the best content possible & the best environment to discuss it in. With your continued support we’ll continue to be better than ever! And for the winners this year, please, feel free to tag us on your preferred social media platform and let us know when you receive your prize packs! You’ll be contacted shortly for shipping information. Congratulations again! **As always winners were chosen at random, TokuNation.com staff members as well as the previous years winners were ineligible for entry. All prizes were provided solely by staff members, no items for this giveaway were provided by sponsors or donors. Toku Toy Box 2016 Giveaway Official Details! TokuNation's annual giveaway Toku Toy Box has returned! To celebrate the holidays this season and our 5 year anniversary we've assembled the latest and greatest in our series of annual giveaways! Read on to find out how to enter! From today, December 1st 2016 through January 4th 2016 we'll be posting a series of galleries spanning classic Japanese series as far back as Ultraman, Akumaizer 3 & Tokkei Winspector as well as modern series up to and including Kamen Rider Kabuto, Kamen Rider Drive, & more! Each time a gallery goes live, you need only make one relevant (non-spam) post in that discussion thread to be entered into our giveaway! Additional posts in the same gallery will not give you additional entries. However there will be a total of 16 different galleries going live over the course of the next month, so you will 16 chances to put your name in for entry, 1 for each gallery. Every time we post a new gallery you'll have yet another chance to be entered into our giveaway! As always good luck, & Happy Holidays! All items are provided by Kickback and Den-O. No items were provided by sponsors or donors. Winners are free to do whatever they wish to with items won (keep, giveaway, sell, etc.). Please be sure to tag us on social media when you receive your prize pack! Legacy Thunder AND Ninja Megazords?!?!? I just want everyone impressed by that Power Rangers pack to know that it's all Kickback's doing. He wanted to make our 5th anniversary extra special and he certainly did. Those Megazords are all him!! And whoever wins it will be the most HATED person on our site. I don't mind being hated. This is seriously amazing, I'm the hugest fan of Ranger Keys so my eyes are set on that Super Sentai Prize!